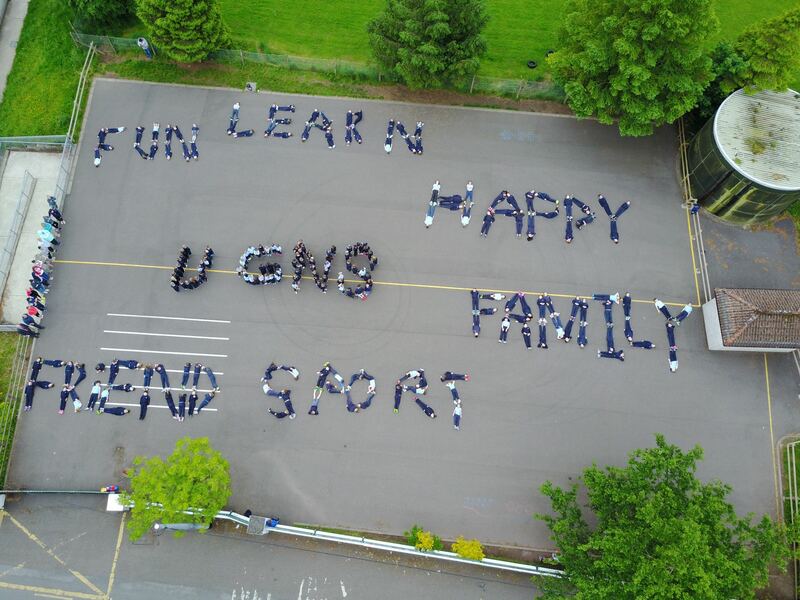 Mr. O’Connell has published a letter to parents at the end of the school year. It can be viewed by clicking the link below. I have left a thank you note under my class page for you to read. Thanks a million for all the lovely cards, gifts and wonderful memories! Have a well deserved rest over the summer break! 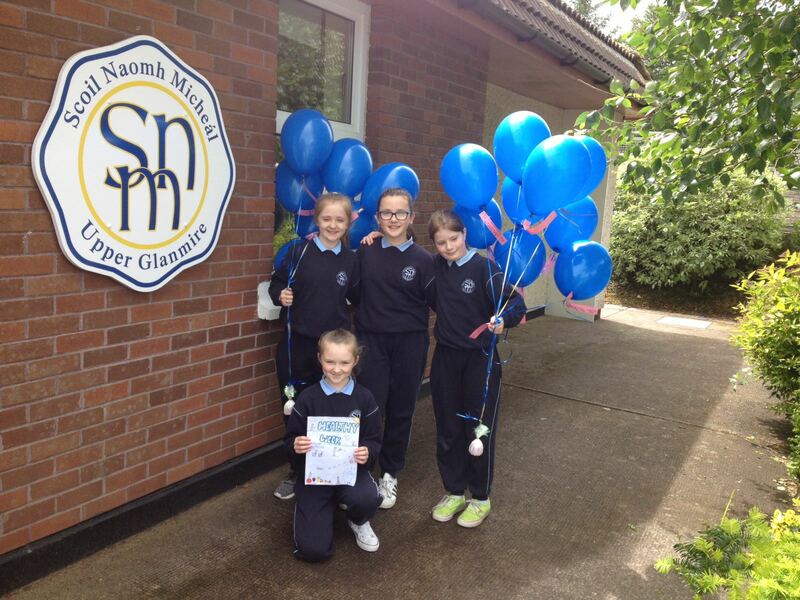 Well done to Rang a sé for fundraising 465 euro from the recent cake sale! Elaine from the ISPCC came in today to collect the cheque. Thanks to all the children of UGNS for buying the cakes. Well done rang a sé! Photographs and memories from 6th class 2016/2017 have been uploaded to the school website. They can be viewed under Mr. O’Sullivan’s page. Well done 6th class! NOS. Well done to our girls and boys who represented the school on a very wet day in CIT last week. 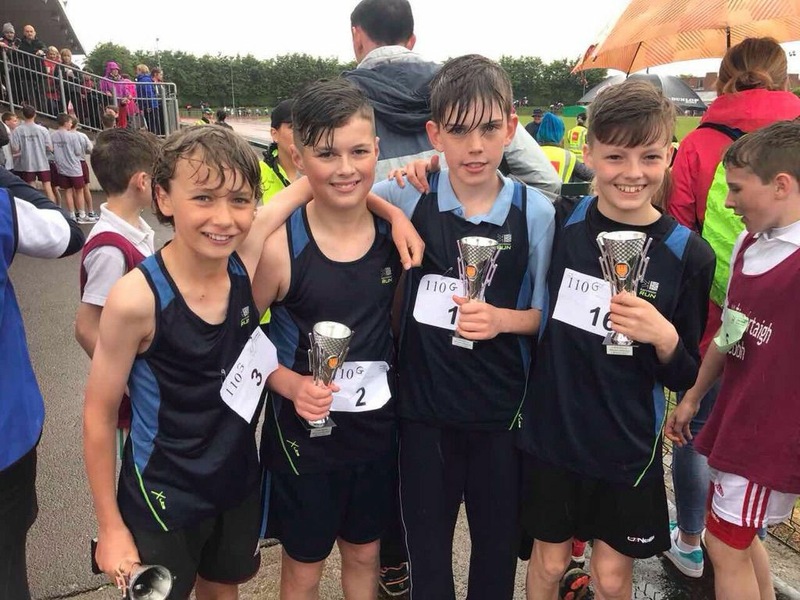 Again we brought home trophies and medals this year with Jamie O’Driscoll coming 3rd in the County Final and our boys really team coming 2nd in their final. Well done to all and thank you to parents and teachers who helped on the day! Our Health Promoting Team have just finished our Healthy Body Health Mind Focus Week and it has been a great success. The children partook in yoga classes, positive mental health workshops, gratuity exercises in class, smoothie tasting, active homework and much much more. This was followed up with Mindfulness sessions in the school during the past week. A huge thank you to Ms. O’Brien and Mrs. Murphy for their efforts and to all the HPS Team for a fantastic week! Have a look at our Gallery to view pictures from the week. Simply click on the link below. 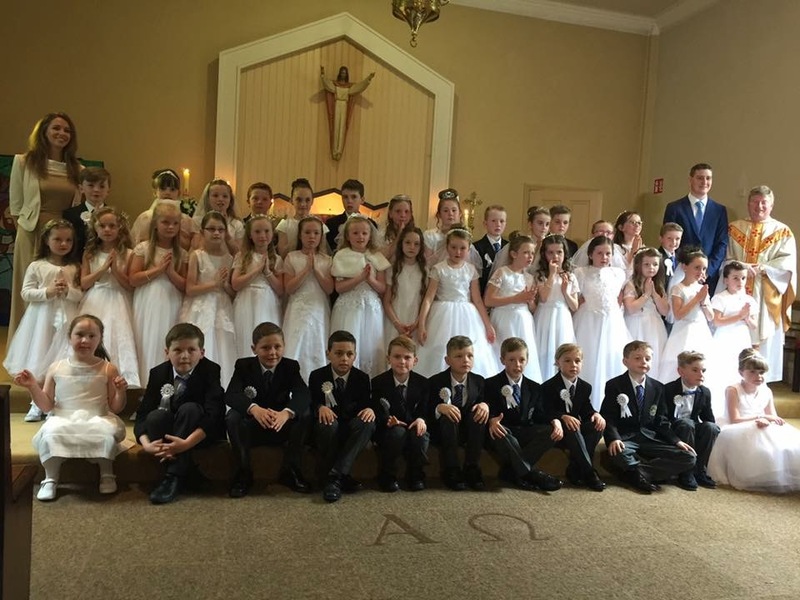 Our Rang 2 made their First Communion on Saturday 27th May in St. Michael’s Church. It was a lovely day and the children were a credit to themselves and their families. Our Parent Association held their annual party in the Community Hall and we thank them for their great support. Well done to all the boys and girls and to their teachers and all who helped prepare for a wonderful day! 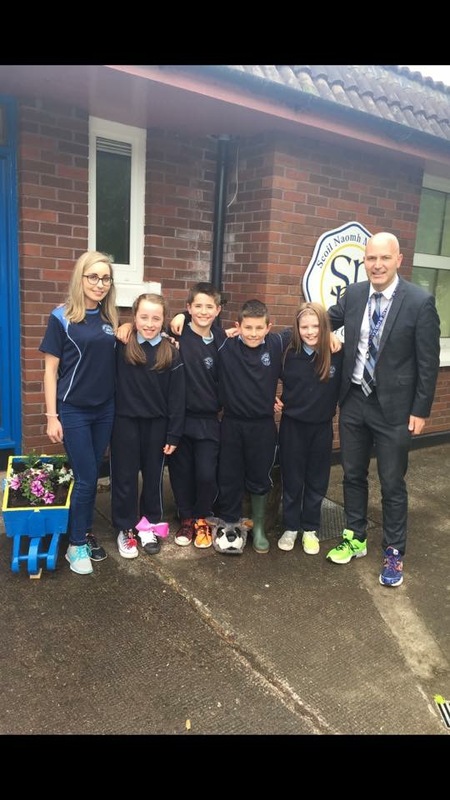 We recently held an Odd Shoes Day in the school to raise money for the Giving for Living Radiothon to help cancer services in Cork. The children and staff had great fun, and Abbie and Caelan Garde held their own raffle on the day. We raised an amazing total of €1385 on the day! 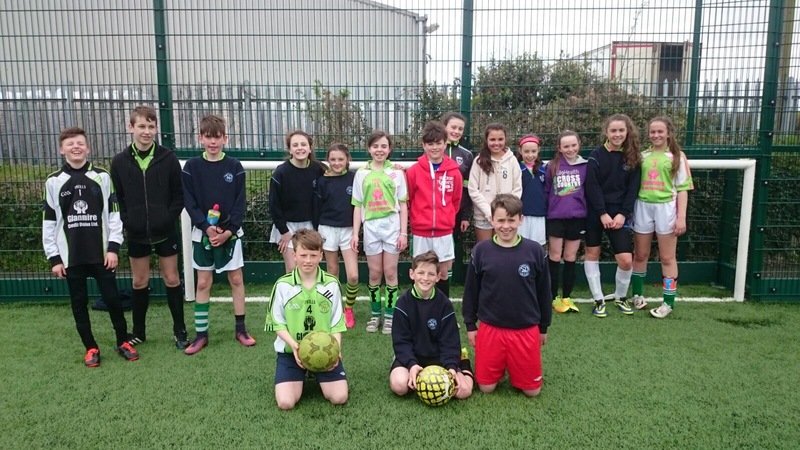 Well done to our boys & girls who recently took part in the FAI 5-a-side competitions. They had a great time and were extremely unfortunate not to make it to the finals! Thanks to their coaches, Mr. O’Sullivan and Ms. O’Brien.